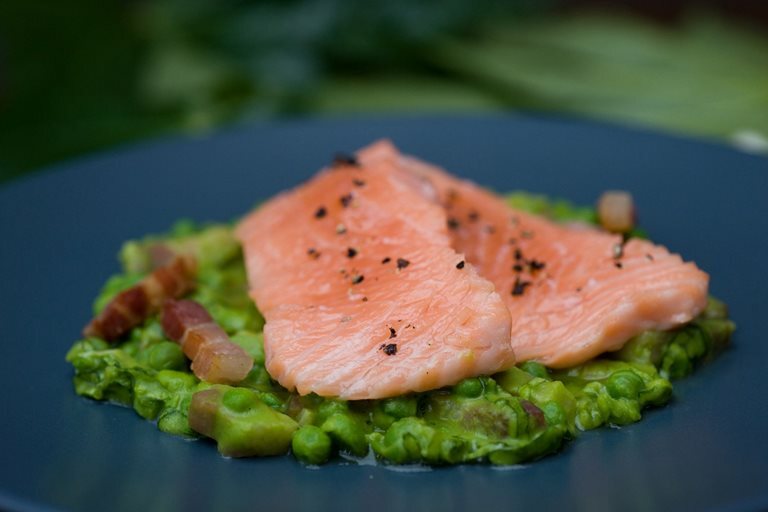 Getting the temperature of the olive oil or duck fat right is essential to producing perfectly cooked salmon - so keep a thermometer handy as you cook. This classic dish from Tom Kitchin makes a great dinner party starter or a light lunch. Source wild salmon from your local fishmonger. Tom Kitchin thrived under some of the most demanding chefs in the world to eventually open up his own restaurant and become one of Scotland’s most revered chefs.